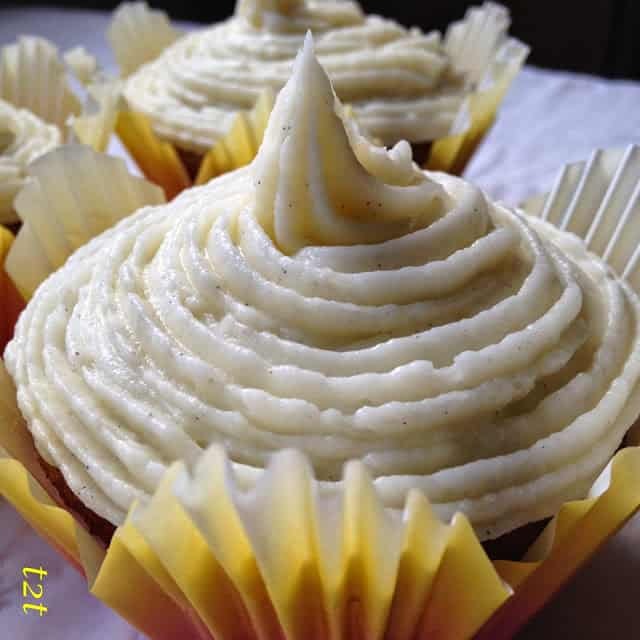 Chai Spice Cupcakes and Vanilla Bean Cream Cheese Frosting have the Classic Chai spice flavor with an added new twist, Cinnamon Chips. The Vanilla Bean Cream Cheese Frosting works perfectly with the Chai Spice and would be great to frost just about anything from brownies to spice cake. Chai [CHAI] 1. An aromatic spiced tea flavored for centuries in India, where chai stalls tended by vendors (chaiwallahs) have long been a popular gathering place. Chai (also called masala chai), is a blend of loose-leaf tea, milk and ground spices (chai masala), typically cardamon, cinnamon, cloves, ginger, freshly grated nutmeg and pepper. Chai can be found in natural food stores and specialty tea and coffee shops in a variety of forms including liquid concentrates, powder and loosw-leaf tea/whole spice packages. 2. chai [SHEH; SHAY] A French term usually referring to an above-ground building used for storing wine. In a small bowl combine spices. In a large bowl, cream butter and sugar until light and fluffy. Beat in egg and vanilla extract. 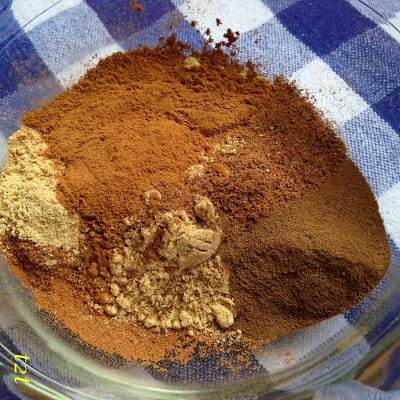 Combine the flour, baking powder, salt and 1 1/2 teaspoon spice mixture. Gradually add to creamed mixture, alternately with buttermilk, beating well after each addition. Fill paper lined muffin cups 2/3 full. 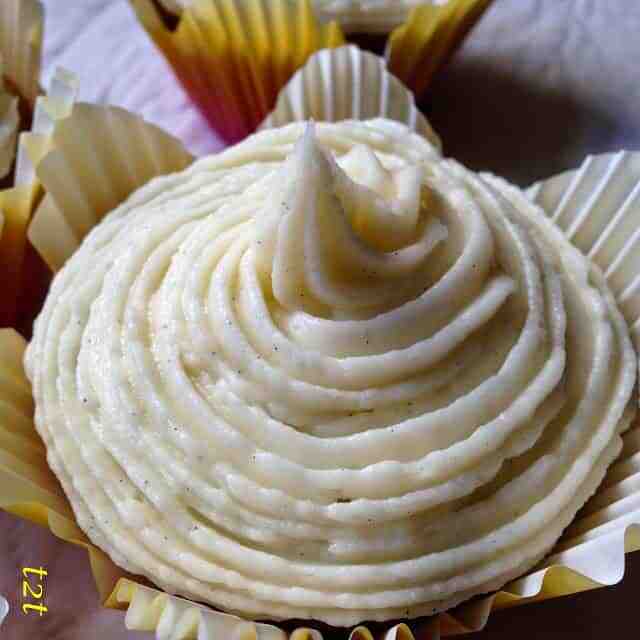 Bake at 350º for 24 to 28 minutes or until toothpick inserted in the center comes out clean. Cool on wire rack until completely cool. 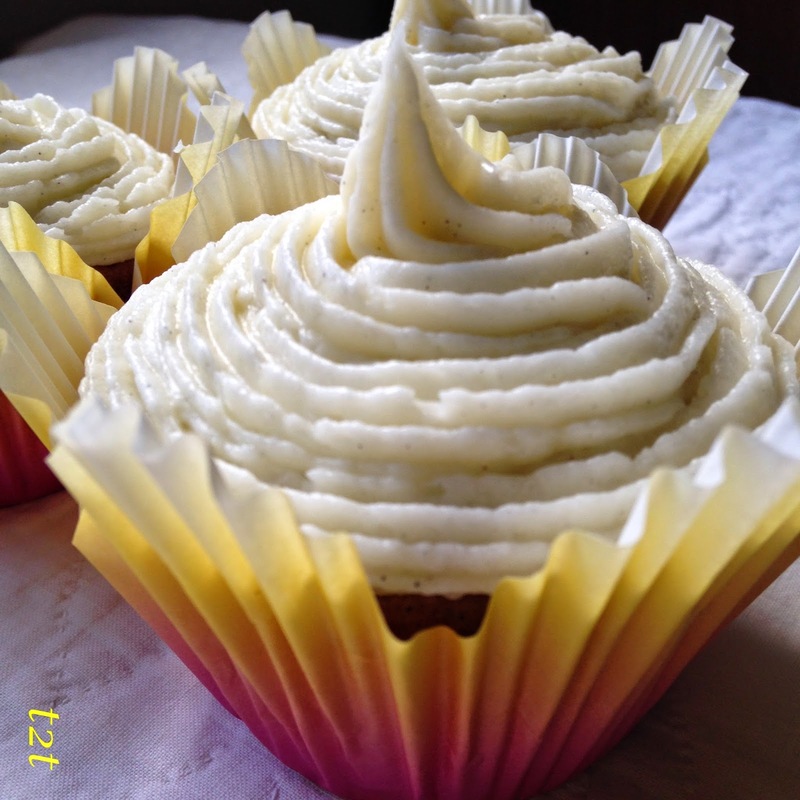 Frost with Vanilla Cream Cheese Frosting. Split vanilla bean pod in half. Use the tip of a knife to scrape the vanilla bean paste from each side of the pod. 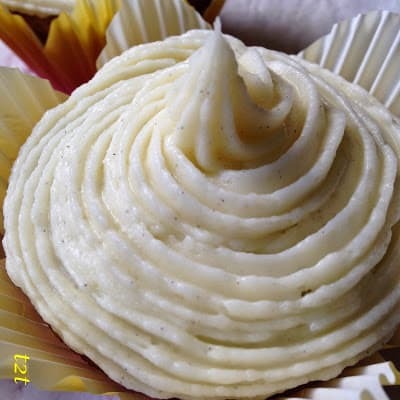 Whip cream cheese in a mixing bowl until smooth. Add butter and beat to combine. Add vanilla extract and vanilla bean paste. Beat in powdered sugar, a little at a time, until frosting is of desired consistency.